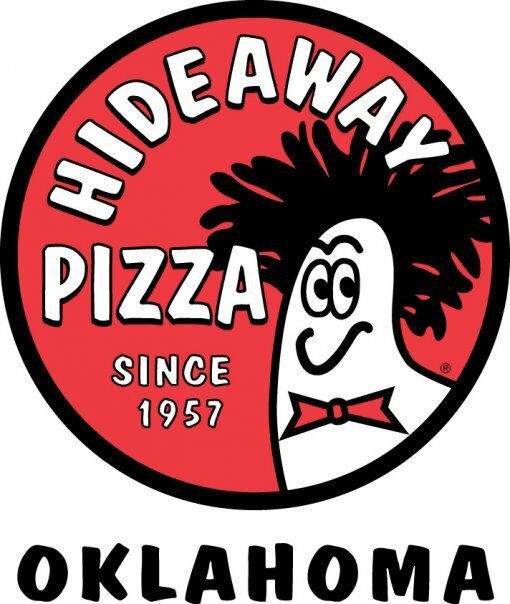 Since opening the first location in 1957 in Stillwater, Hideaway Pizza continues to be a growing and vibrant Oklahoma company. Called the best pizza in Oklahoma by Food Network Magazine, Hideaway provides old favorites and new additions to their menu. Hideaway has always been popular for the great pizza, colorful décor, rocking music and a fun wait staff. 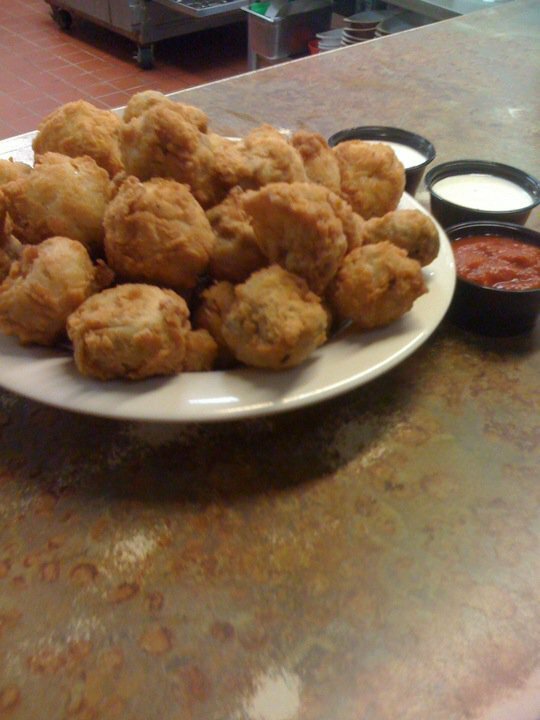 On your visit to Hideaway Pizza in Tulsa, for starters try the baked mushroom caps, which are filled with a spicy cream cheese and vegetable stuffing then topped with mozzarella cheese and baked until golden brown. The fried pickles are also a new favorite with delicious breaded and fried dill pickle slices served hot with a side of special dipping sauce and Hideaway's famous ranch dressing. If you're looking for lighter fare, try one of the salads like the Hideaway Greek with fresh romaine lettuce tossed with Greek dressing and mixed with feta cheese, kalamata olives, red onions, banana peppers, pepperoncinis and tomato wedges. Of course, pizza is the star of the show, and Hideaway has dozens of specialty pizzas to choose from. 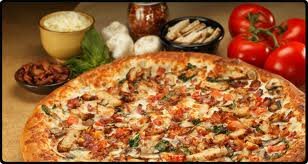 One popular choice, the Paradise Pie, combines Hideaway alfredo sauce, mozzarella and smoked provolone cheese, garlic chicken, smoked bacon, fresh sliced mushrooms, spinach and diced Roma tomatoes. The Big Country pizza offers a tasty dish for carnivores with Hideaway red sauce, mozzarella, pepperoni, Canadian bacon, kielbasa sausage and hamburger all smothered with cheddar cheese. There are also many veggie and build-your-own options available. Customers can choose from a unique assortment of five pizza sauces, including its famous Hideaway "red" sauce, and 35 different toppings and cheeses. The weekly lunch special features pastas and sandwiches like the Dagwood, which is layers of ham, roast beef, smoked turkey, mozzarella and cheddar cheese topped with a creamy Italian dressing, shredded lettuce and Roma tomato slices served on your choice of a toasted whole wheat or white hoagie bun. Hideaway Pizza also has dessert covered with frozen lemonade pie, a warm giant chocolate chip cookie, chocolate chip cookie a la mode, mud slide or a big scoop of vanilla ice cream drizzled with chocolate syrup. Located in the Fontana Shopping Center on E 51st St S approx. 1/4 mile west of S Memorial Dr.